Helge Slikker has been pretty busy over the past few years. While his band Storybox has been silent for a while, he’s been recording and touring with Miss Molly & Me and composing for theater and film. He even won the Dutch version of an Oscar for Best Original Score for Kauwboy. In the midst of all that, he wrote the songs for his first solo record that’ll be released on April 16th. His voice has always been a personal favourite, so I was happy to hear Helge had finished a solo record. The Days Of Young Petty Davis – as the title reveals – was inspired on the music he heard in his childhood home. I still have fond memories of the session we filmed in the early days of this website, so it was very nice to meet up again and film this one. 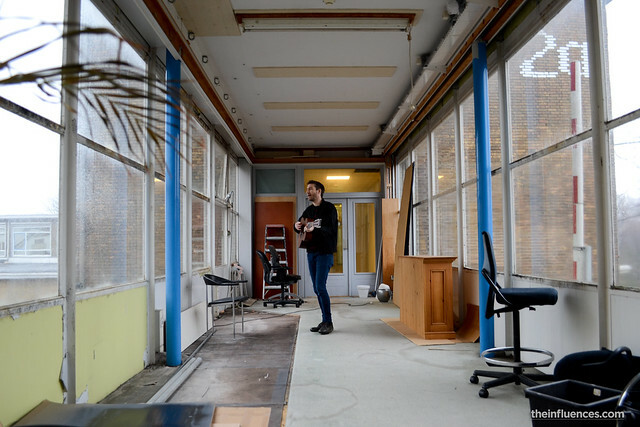 At The Village’s former roastery at the Wolvenplein prison in Utrecht, Helge covered Pearl Jam and Bob Dylan and played the first single from his LP. Helge has a special show at De Kleine Komedie in Amsterdam on the release date, but will also perform at this Sundays Onder Invloed afternoon at Café de Stad in Utrecht. Click here for all tour dates. Martijn Groeneveld of Mailmen Studios.